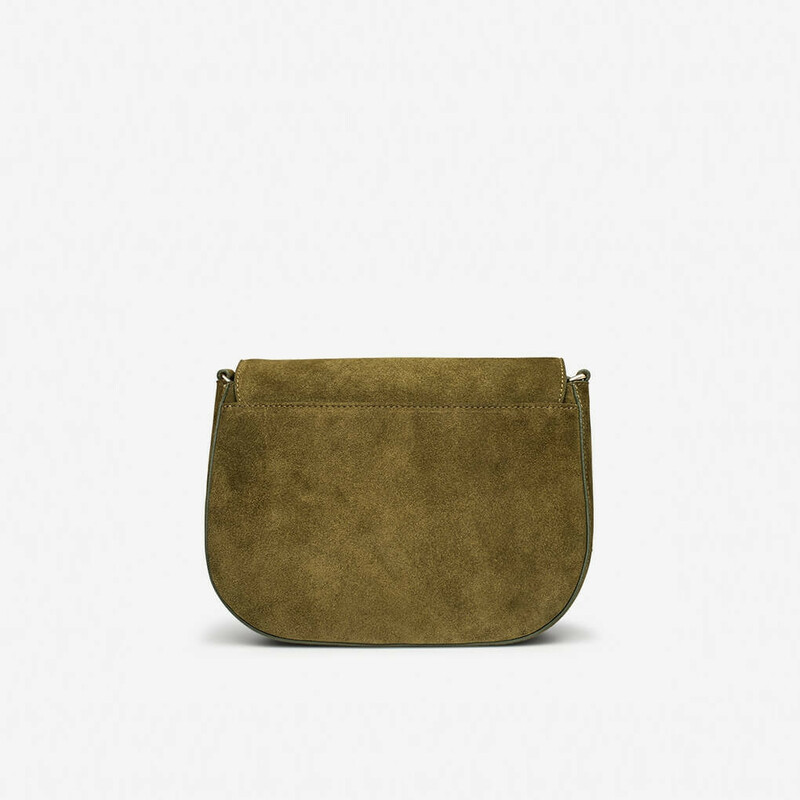 Little Liffner is a Stockholm based womens accessories brand. Founded and designed by Paulina Liffner von Sydow. In short amount of time Little Liffner has managed to gain global popularity. 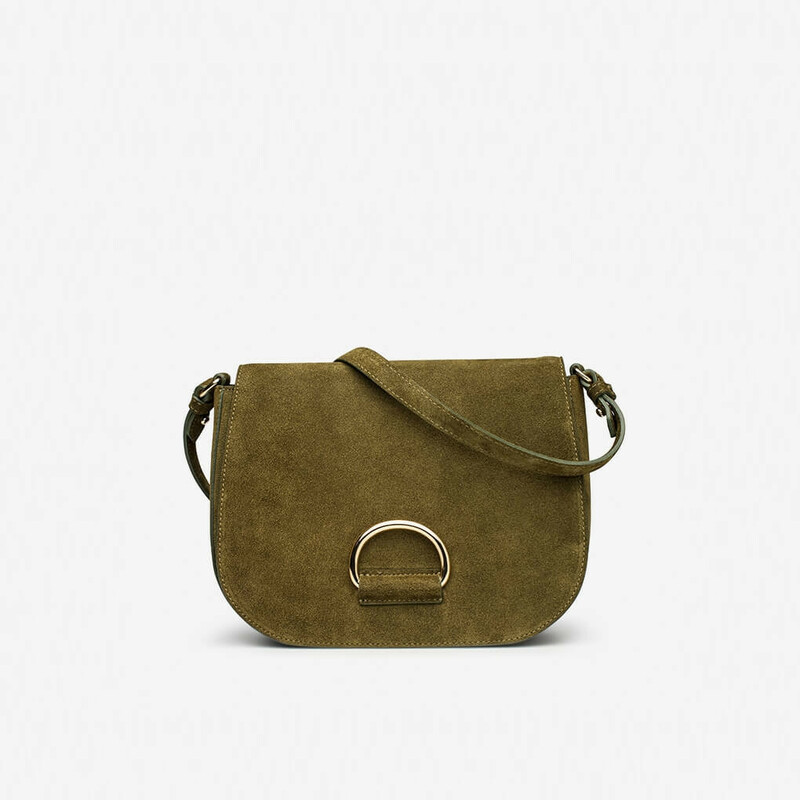 This swedish brand is one of the most talked about accessories brand this year. Designer Paulina Liffner von Sydow got tired of dominant It Bag concept and wanted to create something more personal, logo free and affordable: Vision for Little Liffner was born. The brand carries on with versatility and artless elegance. They believe in design that doesn´t defi. Read more..
70´s. Still preserving the modern and fresh look. Clean lined forms, rich colours and nuanced materials. 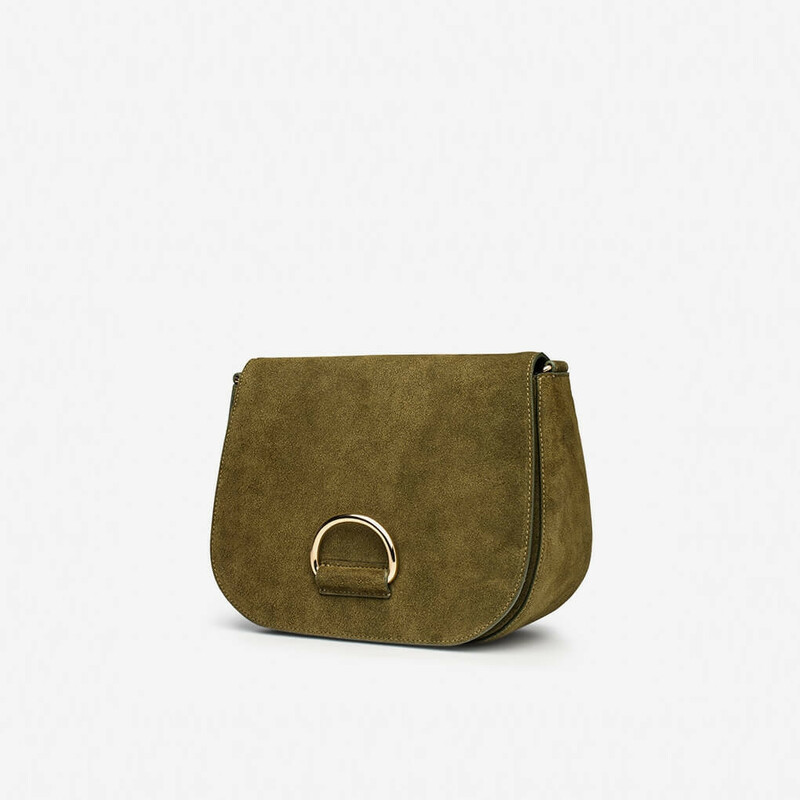 D Bag from Little Liffner is made from smooth velvety suede in luschious green colour and finished with elegant D-ring on the front. A version that is a fresh mix of nostalgia and modern diction. Internal lining in cotton canvas is unattached to the upper thus allowing easy cleaning. One internal pocket with zipper and foiled Little Liffner logo. Patch pocket for phone. Adjustable shoulder strap. Painted edges. Gold polished metal hardware. 1 x D Saddle Army Suede was added to your shopping bag. 1 x D Saddle Army Suede was added to your wishlist.